The more exposure you get to different thoughts, different views and different people, the more you’re likely to get better ideas and a better outcome. This is paraphrasing one of Rob Christie’s own quotes, and he is an absolute shining example of its validity. 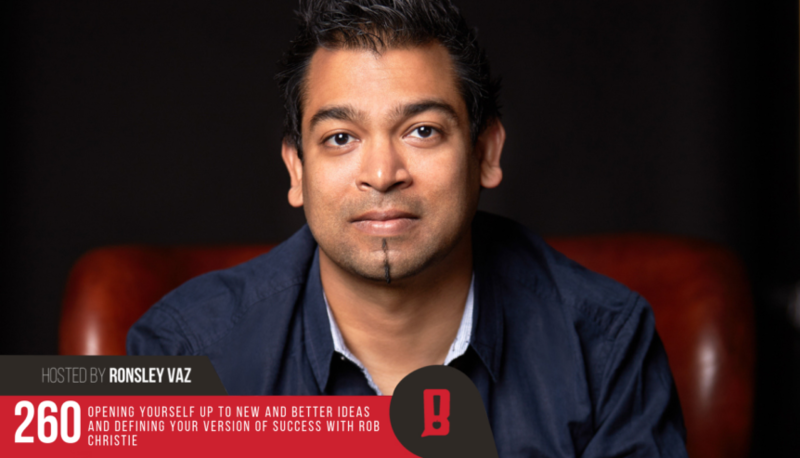 Each week, join Ronsley Vaz as he talks with some of the most forward-thinking entrepreneurs around the world, and picks their brains about doing what they love, navigating the challenges and anxieties of a self-made business and how to think outside the box. This episode really could have been called, The Wisdom of Rob Christie (Part 1). And I think you’ll see why. Rob is a wonderfully articulate and interesting guy, and the stuff he says just makes pure sense. To classify Rob as a real estate entrepreneur would do him an injustice. Sure, he’s been hugely successful with companies including Christie Spaces, but his knowledge and thinking goes in all sorts of directions, and tackles all sorts of questions. This is some serious brain food.